As a solo performer, composer and arranger, and a performer with many popular groups over the years, including 1964 The Tribute, LaFlavour, My Old School, the Jonah Koslen Band, Sonny Geraci and the Outsiders, Stagepass Now, the WIXY 1260s, the Phil Palumbo Orchestra, and The ReBeats, Terry’s music has touched many lives and left lasting memories in the minds and hearts of many. Now you can hear his own vision of the many faces of LOVE. A portion of the proceeds from this album are dedicated to The National MS Society. Stay in touch! Join my email list. Find out more about Terry's extensive repertoire here. There are hundreds of your favorite tunes included in Terry's amazing performances. See a list of Terry's upcoming live performances here. See the new LOVE album video! Listen to Terry's previous recordings here, and stay tuned for new audio tracks and videos of Terry in action. 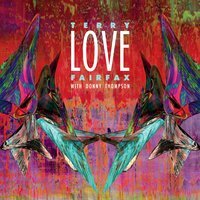 You can shop for Terry's latest music here.